Father and daughter team prepare for harsh endurance event with the help of a climatic chamber at Millbrook. Millbrook has demonstrated the versatility of its test facilities, providing marathon duo, Stephan and Chloe Couture, with valuable support to help them prepare for endurance races and events in near-arctic conditions. Stephan and Chloe are a unique father-daughter duo, competing in multiple endurance events where Stephan carries, pushes or pulls Chloe – who has cerebral palsy and a visual impairment – around the course in specialised equipment. Ahead of challenging winter events across Europe, they had to test all equipment and attire to ensure that it would stand up to the extreme conditions and potentially sub-zero temperatures expected. As an established vehicle test and validation services provider, Millbrook has the facilities available on site to simulate a wide range of challenging environments. 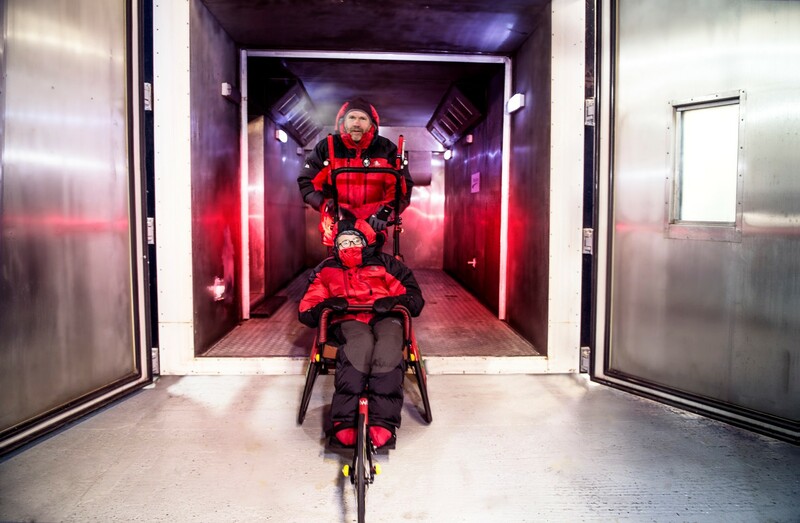 The Millbrook team gave Stephan and Chloe access to one of its climatic chambers, enabling them to experience the coldest temperatures they are likely to experience when competing. Having founded the Ladybugs Trust to support other families with young children and adolescents with disabilities, Stephan and Chloe take part in events such as triathlons, half marathons and full marathons. They are targeting a number of events across Europe in the coming months, including winter events in Iceland and Poland.